A Dog is for life – not just for Christmas! As regular readers will know, at Venture we love our animals - and we know you do too! Our recent article on Pet Pawtraits describes our increasingly popular pet photography experiences. We are expert at photographing every kind of pet, from small animals such as tortoises, rabbits and guinea pigs, through cats and dogs, even all the way up to horses! Although there is the old saying about never working with children and animals, we just love to do both! So it should come as no surprise that we now offer a special Just For Pets Experience Voucher, specifically designed to capture the unique personality of your faithful friend. For just £50 you will treat your pet to a one hour pet friendly photography session - valued at £150 - and you will also receive a 7" x 5" framed picture of your choice that is in itself worth £95. Our gallery of pet photos gives a flavour of the kind of images that will result from your photography session: imagine how wonderful one or more of these kind of images would look in your home! Dog lovers will be especially pleased to know that we are currently donating 10% of the money raised - £5 per Just For Pets voucher - to Dogs Trust. The mission of Dogs Trust is to help all dogs to enjoy a happy life, free from the threat of unnecessary destruction. Dogs Trust work tirelessly to care for dogs that for whatever reason need rehoming, and as part of their work people are able to sponsor dogs. There are also many other opportunities for involvement and for different types of fundraising - such as what we are doing through our Just for Pets scheme. So why not either treat your own pet to a dedicated photography session this Christmas or give a Just for Pets voucher as a gift to someone else that you know would love it? We’ve all heard the saying “a dog is for life and not just for Christmas”, and giving a Just for Pets voucher is a way of turning this into a positive statement! It normally sadly refers to dogs being purchased as Christmas gifts then discarded months later, ending up being cared for by charities such as The Dogs Trust. But giving a Christmas gift of a Venture Just For Pets experience will provide the pet owner with hours of enjoyment all year round: not just for Christmas! 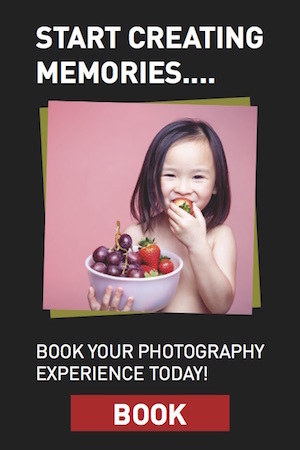 If you would prefer a photography experience that involves all the family - including your pets - then why not take a browse through our different vouchers available. There are many different combinations - all at excellent value - that would make ideal Christmas gifts for family or friends: gifts that keep on giving for moths - and even years - after the Christmas season is forgotten. You can either purchase your gift experiences directly through our website, or if you prefer to speak to us in person then do you contact us at Venture Studios. Whatever your choice of voucher, we look forward to helping you enjoy your Venture photography experience this Christmas!